It's almost time for our family's return to Walt Disney World Resort in Orlando, Florida. My kids are counting the days, and making lists of all the rides they want to seek out first. My wife (a travel agent, and Disney pro) has our dinner reservations and Fast Passes all lined up. My dog has no idea that he has to spend a week in the kennel. Not surprisingly (especially since I'm tossing it on this blog), my preparation has been focused on gaming. During our last excursion to Disney World I brought along my Numenera PDF, some character sheets, and dice. 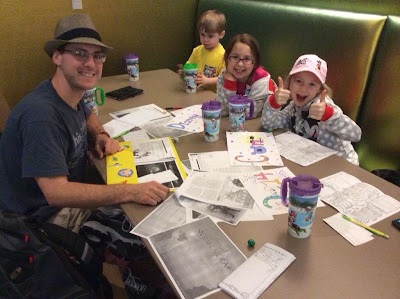 We ran two game of our Disenchanted Tales Numenera adventures, one in our hotel room at the Art of Animation Resort and the other out in public. We called it "Disney Con 2014" and it was a great experience! So new year, new vacation, new game. We'll be staying at a great resort, with access to a kitchen table in our suite and of course tables out in the common areas. Who knows, maybe we'll even smuggle our game into one of the parks! But I'm not quite sure what I'm going to run… at least not yet. 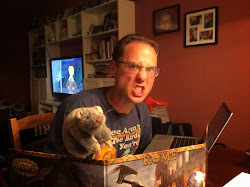 At Disney Con 2014 I ran Numenera and the players were Disney characters in the Ninth World. Anna, Elsa, Merida, and Mary Poppins… typical characters for weird adventuring! I'd really like to continue with a Disney theme, especially since we will be at Disney World, but with a different twist. Since Disenchanted Tales, I've run many games with Disney characters in RPG campaign settings, branching out into both Savage Worlds - The Last Parsec and Dungeon Crawl Classics. I've even seen other gamers explore the Ninth World of Numenera with Disney characters! Rather than have the characters be a part of the Disney Mythology, I want them to be rooted in the original setting. The adventure, on the other hand, would take place in the Disney universe. One idea I'm kicking around is having a band of Numenera hunters uncover the remnants of one of the Disney parks, one billion years in the future. I used the whole "inside the head of a Latos" idea once already this year, why not use it again? Or perhaps there is some kind of space station "Into the Night" where one of the parks was kept safe? On the Strange side of things, perhaps the players are agents of the Estate who are investigating a strange happening in one of the Disney World rides. Maybe Captain Jack Sparrow breaks out of his recursion, or possibly the "Small World after all" is much more terrifying when one translates there from Earth? I can't lie, the idea came from the Dungeons & Dragons cartoon, so not 100% original. But Carrie has been asking about returning to our Dingo and the Cosmos characters, so this could be her chance. So that's where I'm at. If you have any ideas feel free to toss them my way. I've got some time left before we leave, but I'd like to start preparing soon. Witness me Cypher System fans! First, I need to apologize for the lack of activity here on Living 4 Crits in the last couple weeks. It's been quite busy in the "real world" for me, and certainly challenging to find the time to post some decent words. Of course this doesn't mean that I haven't been gaming! With my Cypher System Fantasy game on a three-week break due to scheduling issues, I've been running demos of other Cypher games on G+ Hangouts. Last week I ran Shadewalker, an MCG Asset Team adventure for Numenera, and this week it was Mastodon, the Gen Con 2015 adventure for The Strange. 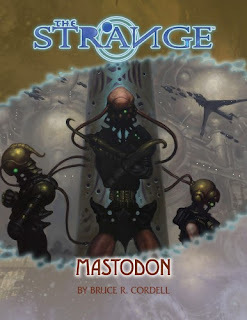 Shadewalker is still an Asset Team exclusive, so I've gotta keep the details to that adventure quiet, so let's chat a bit about Mastodon by Bruce Cordell! If there is any possibility that you would be a player in Mastodon, you can read this next section. I promise not to give away any major spoilers. Mastodon is an introductory adventure for The Strange that brings together a group of ex-military recursors (recursion-jumpers) on a mission to discover who (or what) is hunting down and murdering their old teammates. The adventure begins on Earth, and as the cover shows, leads to some interesting action on the biomechanical recursion of Ruk. The adventure itself itself is about twenty pages long, but the PDF is twice that length… because it's chock full of pre-gen characters. Anyone looking to give The Strange a try with a group of newcomers to the Cypher System can hit the ground running with just this adventure and The Strange Corebook. Although this was a Gen Con adventure distributed to MCG volunteers, you can now purchase the PDF for this adventure here for only $2.99! 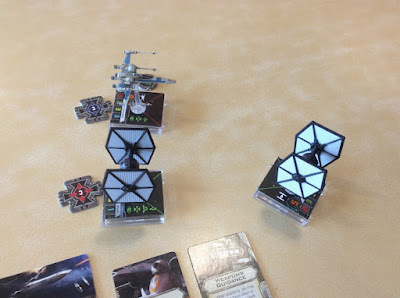 I really enjoyed running this adventure at Gen Con. Much like Eschatology Code, last year's Gen Con adventure, Mastodon opens up with an awesome action sequence that hooks the players. As the game progresses, the adventure opens up and becomes more of a sandbox, allowing for investigation and discovery. Of course there is also that opportunity to travel to Ruk, which is always awesome! I'm a crappy reviewer, and an obvious MCG fanboy, so I'll just leave my two thumbs up, five stars, and A+ right here. If you are a player, and especially if you haven't played The Strange, go get your GM to run this for you. I don't think I do a very good job at "formal" and "official" game reviews, so I thought I'd do this one a bit different. I'm always interested in seeing how one GM runs a published adventure compared to another, so I thought I'd share some of my notes for running Mastodon. Feel free to use some of these ideas and intrusions yourself, or maybe share with me your own ideas. Make sure you run this adventure with adequate time. When I ran at Gen Con we had a great four hour time slot and the adventure was very smooth. The opening action sequence lasted the first hour, but then the group had the chance to methodically solve the mystery. We wrapped up in about 3.25 - 3.5 hours. This led me to the idea that I could trim this adventure down to a three hour window and possibly run it as a week night G+ Hangout demo. When I ran the game this week I had to hack way too much out of the adventure to fit it into the three hours. The "sandbox" investigation on Ruk disappeared and the adventure felt very railroad-ish. Obviously this is not the writer's fault, but my own as a hasty GM. Mastodon is an adventure that allows players to fully explore the weird and mysterious world of Ruk… don't rob your players of this opportunity. 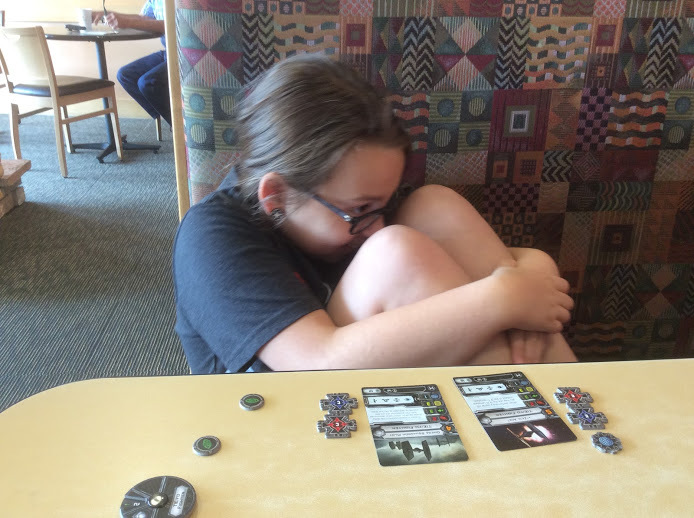 Too Shaken to Talk: A short GMI, the first player to open the door quickly closes it and must then make a level 3 difficulty Intellect roll against fear to tell the rest of the players what they saw. Girl Scouts: The first time I ran Mastodon I had a Girl Scout convention going on at the same time. During the firefight with the dinosaurs a bunch of the children entered the room, and became potential fodder. The players had to save the girl scouts as well as the rest of the hotel staff. Bridal Shower Guest Selfies: The second time I ran Mastodon I had a bridal shower going on in the room next door, and when one of the players went to act (before entering the room), two guests forcibly tried to have their pictures taken. I think for the first session (Gen Con) I actually had the experiment subject say those exact words. Both times I described the experiment subject as being in terrible physical condition. Missing skin, tendons, and misshapen. It was pretty gross. That player then had to deal with the subject before they could reenter the fray. … seriously, everything Vin Diesel touches is gold. I'd love to have my player characters really struggle with choosing whether or not to battle Amla-Shoon, perhaps even agreeing to join their side. I really enjoy foes who are neither good nor evil, and after reading through the adventure again, I'd probably take out her "insanity" and perhaps lay some breadcrumbs early on that she may have a point. The adventure does give a brief paragraph called "Joining Amla-Shoon" that covers this possibility. If you've already GM'd or played Mastodon I'd love to hear your own stories. What kinds of GM intrusions did you run? If you were a player, what were your favorite moments? My wife and I are Starbucks addicts, and we're not ashamed to admit the fact. Yes, we totally understand that we are buying five-dollar coffees, and that its a terribly wasteful habit. But we don't care, and this is a judgement free zone, FYI. Besides, this isn't a review about Starbucks, rather its a blog post about using Starbucks in your roleplaying games. I'll agree that this makes for kind of a strange post, but I committed to running with it earlier today. Around lunch time I was sitting in a Starbucks, drinking one of my favorite tasty beverages (it was a grande coconut milk latte), just trying to think of something to write about later. I always carry a Numenera notepad in my work briefcase just in case an amazing idea pops into my mind. … and there were NO amazing ideas popping up. "Sitting at lunch. Thought I'd try to write something... but blogger's block has returned again. Maybe I could 'stat' a Starbucks barista across multiple RPG systems…"
Why stop at a single barista, though? There are many adventuring possibilities contained within a single Starbucks! 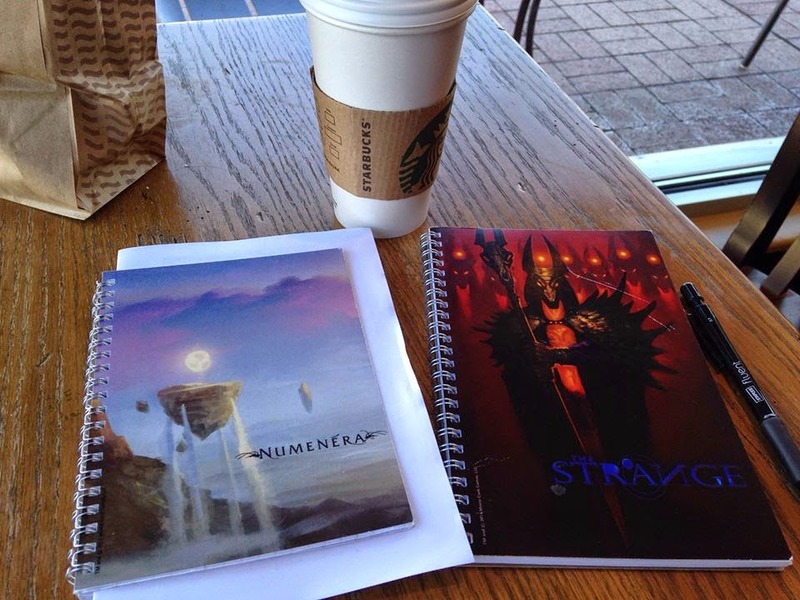 Two years ago this post would've just covered Starbucks in the Ninth World of Numenera, but now that it's 2015, and we have both The Strange and the Cypher System Rulebook (CSR), I've gotta be open to Starbucks across the entire Cypher-verse. But hey, feel free to use any of these ideas in any way you want. Or don't use them, because the more I think of it, the more I realize that this is a terribly cheesy idea. You've been warned. Let's get real, the very nature of Starbucks changes as you go from one game to another. This really is the easiest path to including a Starbucks in your Cypher games. Perhaps the fantasy genre is a bit far fetched for a Starbucks, but your superheroes, horror, and modern games could definitely include corporate coffee houses. Even in a science fiction setting, there is no reason why Starbucks wouldn't spread to the rest of the solar system and beyond. Numenera is all about the "weird," so I see no reason why you couldn't just include Starbucks in your Ninth World adventures. To be clear, I'm not suggesting you reskin anything… just throw the actual Starbucks into your Numenera campaign "as is." You know that massive city of Qi? I bet there are at least fifteen Starbucks locations surrounding the University of Qi. There's a really great location in the City of Bridges overlooking the Merchant Docks as well. Imagine the look on your players faces as their characters walk down the road and run right into that green logo. What's weirder than that? I can sense you shaking your head in disbelief and disgust. 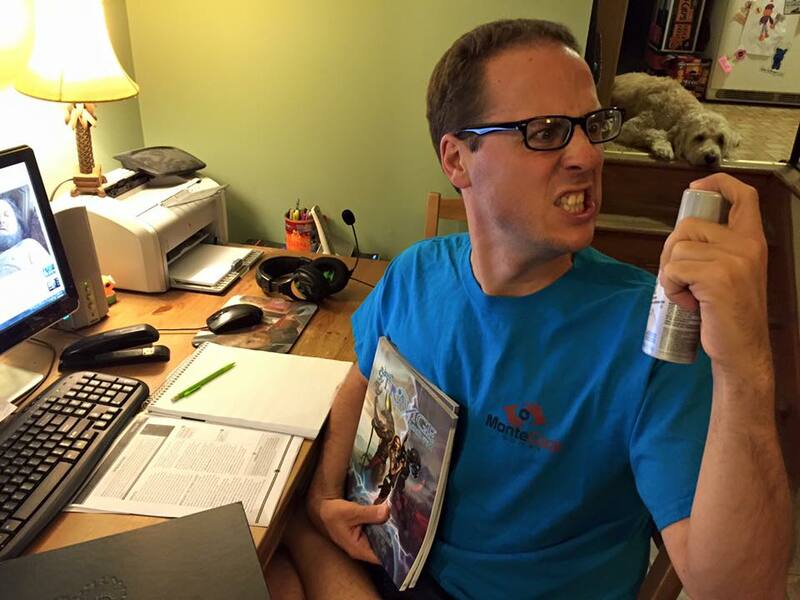 But hey, if you want serious adventure seeds for Numenera, you should be following +Marc Plourde not me. Okay, the meat and potatoes of this section is Starbucks as a recursion in The Strange. Maybe the reason that there are so many Starbucks locations throughout the world is that each and every one is the same location… the same recursion… but they just appear different to each patron. So when you walk into a Starbucks in Portland, it's actually a recursion, and the very same location as the Indianapolis Starbucks attached to the Omni Severin. Connection to the Strange: There's a "Dark Energy Network Frap" that's on the secret menu. If you drink it you instantly translate to the Strange itself. With a frappuccino in your hand. Connection to Earth: There are translation gates to Starbucks on virtually every street corner on Earth. Seriously, go to downtown Pittsburgh and they are friggin' everywhere. Size: The size of a Starbucks… because it's a Starbucks. Trait: Relaxing. Spending Intellect Effort for research, studying, or any other knowledge/lore seeking efforts costs 1 less point of Intellect. Have you ever wondered what a barista would look with role-playing stats? I sure have! Perhaps you won't agree with my take on these creative crafters of creamy coffee, but that's too bad. Environment: Can be found in any Starbucks location. Occasionally a Barista has to take out the trash, and may be found outside a Starbucks location… but not too far. Combat: Look, baristas don't like to get into fights. Have you ever seen a barista take out a velociraptor? Heck no! That barista would rather make that tiny feathered dinosaur a really yummy hot cookie. But when a barista has to throw down, they don't hold back. Doubleshot: If a barista is corned, they can't reach in their apron and pull out a pair of espresso shot glasses full of scalding hot espresso. They are always full. The barista can make an attack against two targets at an immediate distance, both of whom need to make a Speed Defense roll at a difficulty of 5. If struck by the hot espresso, the target takes 5 points of Speed Damage. You Got Frap'd: A barista can lob an icy cold frappuccino against a target, although they are very polite about this attack. Often they will shout "enjoy your drink" while the condensation-covered cup soars through the air. This is a short-ranged attack, and affects everyone in an immediate distance. Anyone who fails a Might Defense roll to "endure the cold" takes 3 points of cold damage (ignores armor) and immediately starts shivering uncontrollably. For the next round all of the target's actions are performed at one additional step of difficulty. Interaction: When a barista greets someone they often ask if they are ready to place their order. If not, the barista waits patiently, smiling. If approached in a threatening manner, the barista may ask if the target would like to speak to a manager (a 7(21) NPC). Use: Sometimes your player characters want coffee. Loot: Choose one of the three new cyphers that are found in this blog. The Cypher System wouldn't be the Cypher System if there weren't cyphers. These one-use special items take on the "theme" and "flavor" of their home campaign settings. So in Numenera a cypher is an ancient piece of technology that has one final use left. In The Strange a cypher is a small snippet of the "god code" that is the alien dark energy network. In The CSR, a cypher is just about anything you want it to be. I'm offering you three new cyphers for your campaigns, to use however you see fit. I guess you could technically reskin regular cyphers into Starbucks-themed cyphers. Perhaps that mocha frap is actually a Detonation (Web) Cypher, ready to be thrown at incoming hipsters! That instant Starbucks blueberry oatmeal could function as a Stim, helping your character with one really tough roll. Effect: This is my wife Jennifer's favorite drink, and she orders it whenever she goes to Target. Or when she leaves Target to continue shopping elsewhere. I'm pretty sure that the C-Macch helps her shopping, probably because its so good at focusing your mind on finding the best deals. After your first sip of a Hot Venti Carmel Macchiato, and for the next hour, the difficulty of all searches for good deals, values, and sales is reduced by three. Effect: This is nasty. Just… nasty. I don't know who would want to drink a pumpkin frap, but I'd just want to throw it at someone I didn't like. A Pumpkin Spice Frappuccino can be thrown like a grenade, up to a short distance. Upon impact, all targets within immediate range take damage equal to the cypher's level, and get the pumpkin spice taste stuck in their mouth, making them terribly nauseous. For a number of rounds equal to the cypher's level, the target can't stop spitting, and must spend 2 points of Intellect to focus on any other action besides spitting that nasty gunk out of their mouth. Should've kept your mouth closed! Effect: The beverage of beverage! Whether hot or cold, I love coconut milk latte's. They are my favorite drink at Starbucks. But since it's still technically summer, we're going to stat the icy variety! After drinking a Venti Iced Coconut Milk Latte, smooth NPR-style jazz starts playing in the user's head. It doesn't matter what setting (The Strange, Cypher Horror, Numenera, whatever), there's smooth jazz. For a number of rounds equal to the Cypher level, the jazz continues and the user gains specialization in smooth jazz lore and two skills of their choice. This does not stack with existing training or specialization. I hope you've enjoyed this Cyphering of the Starbucks experience. If there is any chance that you use any of these weird and crazy rules and guidelines in your game, please let me know! I'd love to find out how, and more importantly why you thought it was a good idea to follow my advice. It was one heck of an evening with the Norwin Game Knights last night! Every month our growing group of gamers meets near Pittsburgh for a fun, family-friendly evening of gaming. 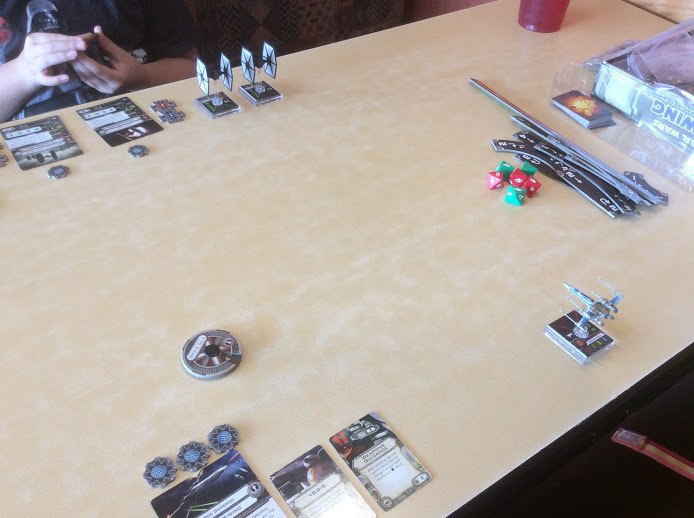 Although I'll pick up the occasional board game, typically you can find me at the role-playing game table. For many gamers, especially our younger crowd, these sessions at the Norwin Game Knights events are their very first tabletop RPG experiences. So it's very important that each and every one is memorable in some way. … but at least two from that session survived. … and it was everything I could ever have hoped for! Characters: Babs, Chuck, Sybil, Steve, Dirk, Kingslayer, Choco, Paper, and Bueno the Opossuman Guide. Last month we ran the first part of Purple Sorcerer Games' Peril's of the Sunken City at the Norwin Game Knights. We had five players, and a total of sixteen 0-level characters. Well, seventeen if you could Bueno the Opossuman Guide picked up mid-session by Jeremy. The session ended with six of the players making their way to the pit at the center of the arena, and then jumping down. I promised the players that between August and September I would level those six characters up to 1st, so that everyone would have a class. Unfortunately I've had a busy month. There would be no class levels for the session. … so eight characters. Perhaps I am a little heartless. It didn't matter too much, since they were all goners from the get-go. The chained skeleton encounter at the bottom of the pit sealed the characters' fates. Completely forgetting that they had acquired the Rod of Chains in the last session (despite my reminder), the players decided to battle the undead. But bows and swords have little effect on boney constructs! The skeletons claimed the lives of Paper, Choco, Dirk, and Steve. 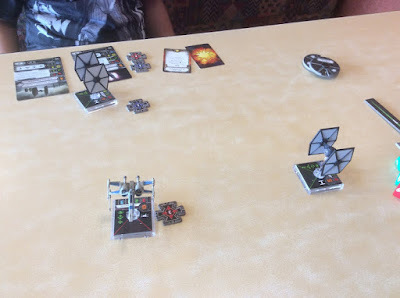 I felt especially bad for our one player Craig, who lost both of his remaining characters just after a rolling a pair of back-to-back fumbles. We knew the game wasn't going to last much longer after this encounter. Kingslayer, Babs, Chuck, and Sybil picked the bones, and grabbed what they could before heading south into Whiskers' chamber. Whiskers was a twenty foot long giant catfish inhabiting a large underground pool with an island at the middle. The promise of treasure was too great for Kingslayer, who made a boat out of a giant, eight foot brazier and paddled across. He managed to elude Whiskers the Catfish once, and even gathered some of the great swag on the island. There was even a journal from a dead man claiming that Whiskers preferred to be called Errol. Kingslayer and the fish had a long conversation, and the fish promised to play nice, so long as he was given gold or food or something. Obviously all fish are liars, and as soon as his Kingslayer put the offering in the catfish's mouth, he was in trouble. The catfish chomped down, biting Kingslayer, and pulling him into the water. Kingslayer couldn't swim due to his scale armor. Chuck tried rescuing him with a ten-foot pole, but his player fumbled. So Chuck got grabbed and eaten by "Errol" and Kingslayer soon drowned. "That's what you get for talking to a fish," Craig stated, while shaking his head. The remaining two characters, Babs and Sybil, were done messing around with that stupid, fish, so they left the chamber. They would make it as far as the latrine room, but the two purple slimes quickly consumed the hopeless 0-levels. If there is a lesson to be learned in this adventure it is this: If you have a rod that portrays a skull covered in chains, and you are being attacked by skeletons covered in chains, think about how that rod could possibly aid you in your quest. "So Sybil is a weaver, and everyone knows that weavers were mathematicians in their days." - An excerpt from Andy's book of wisdom. Characters: Bob, Sparkles, Vahl, Mister Chop Chop, Hard Johnny Depp, Abaddon, and Shia LaBeouf. I thought my evening was over. I thought we were done with DCCRPG until October. I thought that no one would want to come back to the gaming table after that Perils of the Sunken City debacle. One of my players, thirteen year old Jeremy, wanted to know if I had any other adventures with me. It just so happened that I did! For some reason I had packed Frozen in Time and Grimtooth's Museum of Death along for the event. Always best to be prepared. Glancing at the clock, I realized we only had another hour or so left to play. So I picked Grimtooth's adventure and called out for anyone who wanted another go at DCCRPG. It wouldn't take an hour to finish the game. … but I did so anyway. I only allowed each player one 0-level character. Once they were dead, they were out of the game. So it was kind of like a tournament funnel, only there was no one else waiting in line to die. Each player quickly got to naming their characters. Bob, Sparkles, Vahl, and Abaddon were terrific names! One player, realizing his character was a butcher, went with "Mr. Chop Chop." There is always a kidder in the group, so I wasn't surprised to see someone choose "Shia LaBeouf" as a character name. But with "Shia" taken, another player wanted take character naming to the next level. He wanted something classic, but also tough. "I want to be Johnny Depp, but tougher. I'm going to be Hard Johnny Depp." There was a great pause on my side of the Judge's Screen. I didn't think I could run a game with a character named "Hard Johnny Depp." Despite some pleadings from the player, I told him that his character had to be regular Johnny Depp. Bob was electrocuted when he tried using the wrong key in the wrong keyhole on the elevator. Sparkles was killed by a giant cave octopus after he tried fleeing the castle. His player got freaked out by the death of Bob, and he figured that his character was going to live. The random, rogue giant cave octopus changed that. Abaddon fell into a pool of acid and was quickly dissolved. Hard Johnny Depp died trying to save Abaddon. Shia LaBeouf had a giant rock fall on his head. Vahl was eaten by vampire bats. In less than half an hour the adventure was over. I have to say, that a a father, I'm so very proud of my daughter Carrie since he character (Vahl) was the last to die. Hats off to +Jobe Bittman! Grimtooth's Museum of Death is a masterpiece and I can't wait to run it again. Granted, I'll probably use higher level characters, play the game with more seasoned gaming veterans, and ensure that there is plenty of beer in the fridge for a rip-roaring, trap-laden, crawl-of-doom! At Gen Con 2015, my wife and I were both in attendance for the MCG Seminar, and we got to watch the launch trailer for new series of Numenera campaign setting expansion books live with an entire audience around us. It was a thrilling experience to be right there with all our fellow fans on day one! Numenera: Into the Ninth World promises three new setting expansions for your adventures in the Ninth World.. and now beyond the Beyond! Into the Night: Numenera adventures in space! Into the Deep: Numenera adventures under the waters of the Ninth World! Into the Outside: Numenera adventures in other dimensions! Look, I'm not going to give you the entire run down of each of these setting books. They all look very intriguing, and I can't wait to get my hands on each and every one. If you want to learn more about these new books, I urge you to go right to the Kickstarter page and find out directly from Monte, Shanna, Bruce and the rest of the MCG gang. This post is actually about the insane value you get in a Monte Cook Games Kickstarter, and why you really need to consider jumping in on this one. There's a reason so many people lament on social media several months after MCG wraps up funding… they realize that they missed out on an incredible deal. When I was helping out at the MCG booth at Gen Con I watched quite a few people come by and pick up the Numenera Boxed Set. You remember this campaign right? Last December you could jump in on the Reliquary level of the Numenera Boxed Set for $120. At Gen Con the cost was around $200, and I don't even think the box is for sale anymore, since it was a limited run. Don't be left out if you can help it. You're probably going to want these books anyway, right? Why not get them at a discount!? Look, I'll admit it: I'm a Cypher System Fanboy. 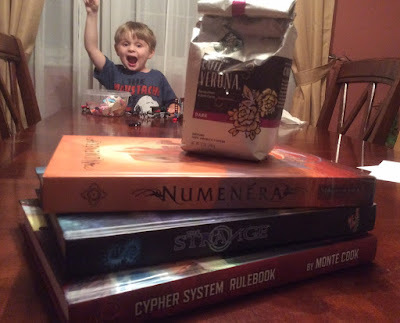 I got hooked on Numenera two years ago, right after the core book hit Amazon.com. I devoured that book in less than a week, reading cover to cover. After hearing from other gamers about all of the awesome extra swag they got from that legendary first Kickstarter, I was pretty bummed out that I came late to the party. I didn't make the same mistake for The Strange. I've had a great time backing these exciting products ever since. In a way, taking part in a Monte Cook Games Kickstarter feels like signing up for a really, really awesome subscription… of greatness. Every couple months something new shows up at my door; something delightfully provocative that's going to be great to play at the table. Being an MCG Kickstarter Backer is like joining a "_______ of the Month Club." But instead of cheese or jelly, you get cyphers, bestiaries, and foci! So another Kickstarter, and as I've hinted another great value. For any of you on the fence, I thought I'd share exactly how I'm backing this project, and what I expect to get back in return. "You get the All the Ebooks package and the All the Print Books package (every book title funded by this campaign, plus the Artifact Deck, in print and PDF format)…"
Since I'm already a veteran of the MCG Kickstarters, I knew this was only the beginning. 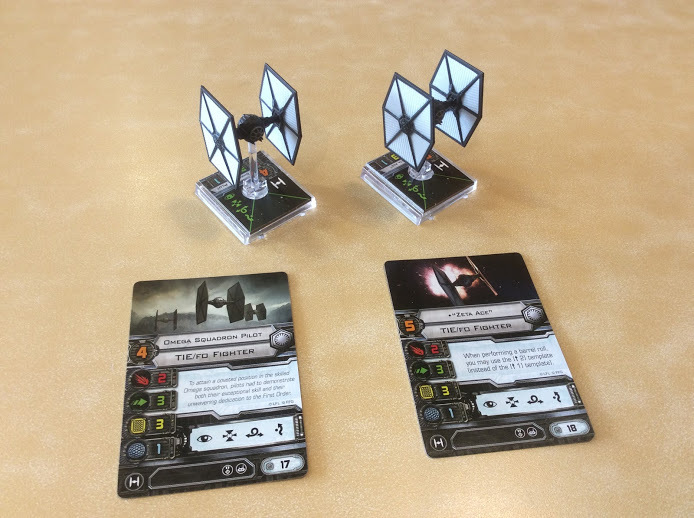 The folks over at MCG do a great job ensuring that stretch goals directly benefit the backers, upgrading proposed products, while adding new titles. This is one of the reasons that I'm sharing this post… I'm greedy! If we get more backers to join in, we get more swag-value from MCG! Into the Night: A 160 page hardcover that is effectively "Numenera in Space". I'll get the print book and the PDF as well as a printed 2-sided poster map (and PDF), and an additional glimmer-sized supplement. Typically glimmers are 6-8 pages. Into the Deep: 160 pages "Under the Sea", probably with less Little Mermaid and more octopi. Again, I'll get the print book, PDF, poster map, poster PDF, and a glimmer supplement. Into the Outside: 160 more pages, but this one covers extra dimensional jaunting. Hardcover, PDF, poster map, map PDF, and another glimmer. Character Options 2: More Numenera Character Options? Yes please! And I'll happily take that 96 page softcover in print and PDF! The Poison Eater: Shanna Germain's Numenera Novel! This will show up on my door as a deluxe hardcover and on my iPad as an ebook. Map Book: All those beautiful maps from the three new setting books in one single printed book, along with a PDF. Artifact Deck: 100 cards with new artifacts, printed and in PDF. 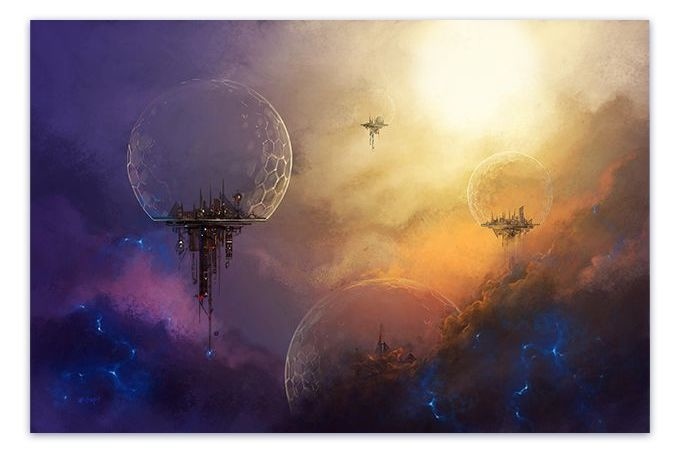 Instant Adventure: An adventure in PDF format for getting players up to speed in Numenera. Creature Deck Expansion: I already have a Creature Deck for Numenera, but this one is supposed to bolster my current collection with 30 more cards. 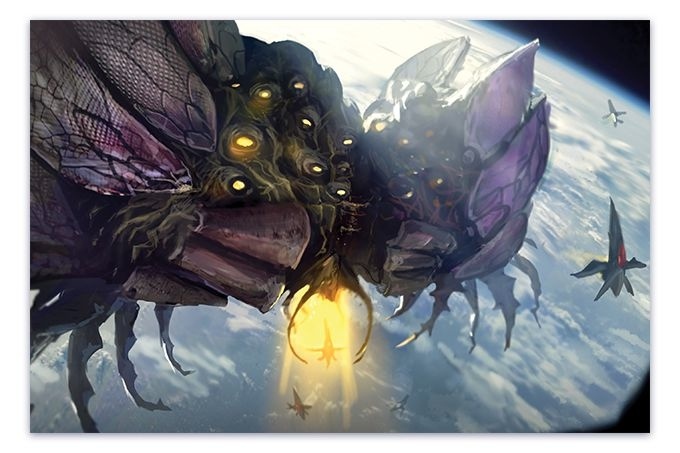 Cypher Deck Expansion: Like the Creature Deck Expansion, but with Cyphers! Music Track: A 10 minute loop of background music for my tabletop gaming. $5 MCG Store Credit: A ticket to more swag. All the Supplements in Print: So those three glimmers I mentioned earlier? Yeah, they will be printed! Short Fiction: PDF and ebook of new short stories by the MCG team. This is just what's out there as of right now (10:30pm on Sunday September 6th), so who knows what else we'll hit. 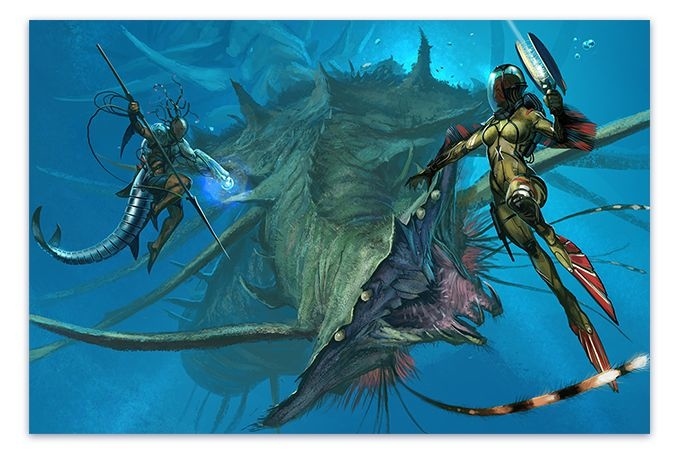 I see a Numenera Bestiary 2 on the horizon! Let's do a tally. $150 for everything I just mentioned. Using some of the previous MCG products for scale, each of the hardcovers has a $40 value. More character options is another $25. So we're already at $145 before I start counting all the PDF's, decks, the novel, and everything else. Just a rough guess, and I'd say total value on Lover of All Books is around $270. So that's my pitch. As I mentioned, this is sort of self-serving… more backers equals more stretch goals reached, unlocking more stuff for James. 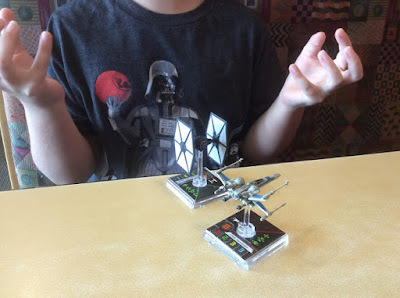 If you'd like to hear more from Monte Cook Games, follow this link to their Kickstarter. If you are already on board, make sure you spread the word! 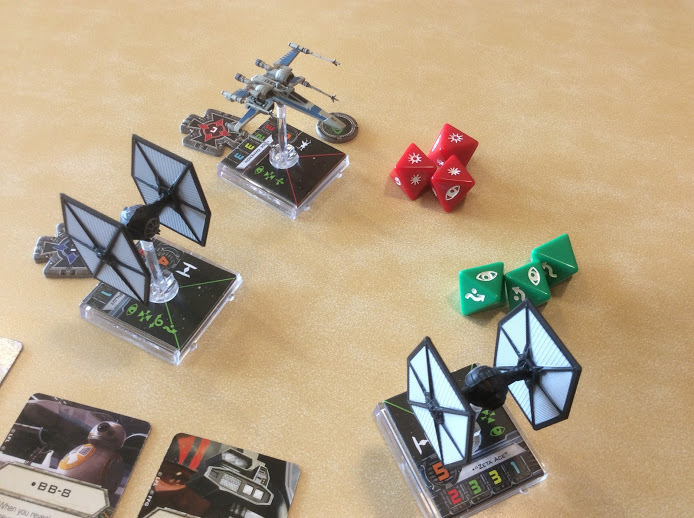 MCG is unlocking stuff based on shares, followers, retweets, and even pics from your gaming table! 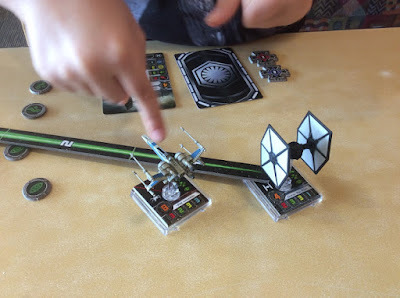 Its been over a month since Evie and I played the Star Wars X-Wing Miniatures Game. Between Gen Con, a trip to Delaware to see my folks, and back to school preparation we just haven't had time to break out the miniatures. But all that changed this Labor Day weekend! Yesterday was Force Friday, and my wife Jennifer went out and purchased the new Star Wars - The Force Awakens starter box for X-Wing! 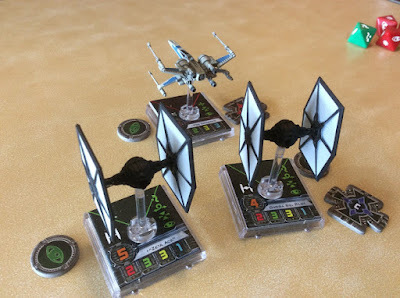 I just have to say that these fighters look awesome! 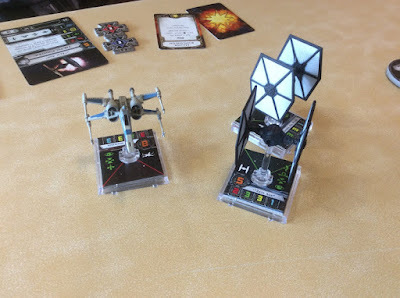 The rules aren't all that different, and are definitely cross compatible between the two games. 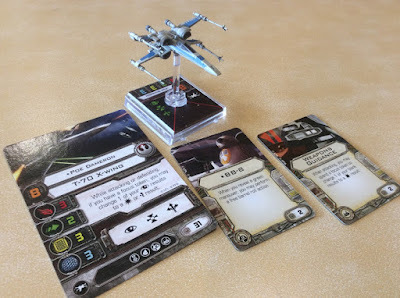 The Boost mechanic is now in the rule book, and there are a few new kinds of turns, including an especially deadly turn for the T-70 X-Wing called a "Tallon Turn." But the best part about the new box is the miniatures! You get a pair of First Order TIE Fighters and one T-70 X-Wing. 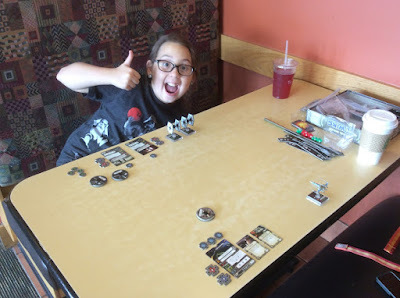 We decided to play the new game as part of a father/daughter date. 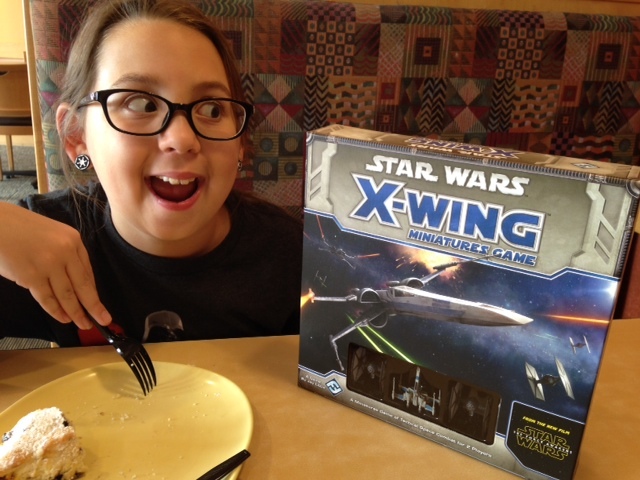 Packing up the X-Wing Miniatures box and our iPad we set out for Target and Panera. 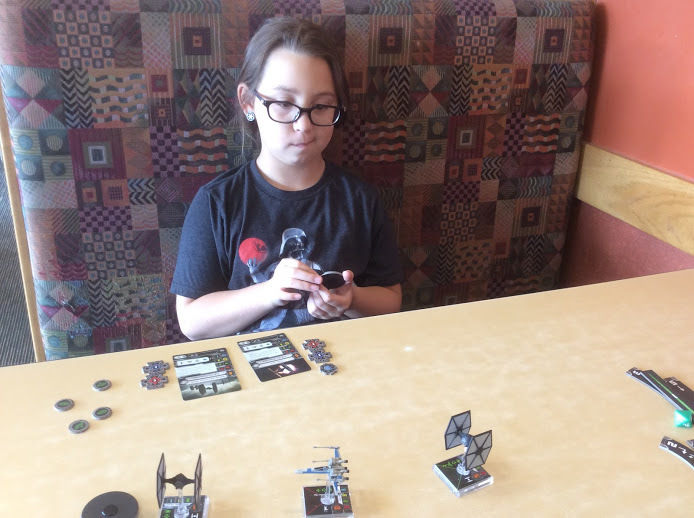 My wife had the chance to take part in Force Friday, but neither Evie nor I saw the setups. It was awesome! 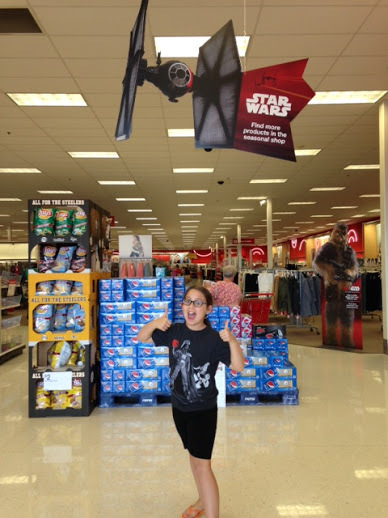 Lots of Star Wars swag in the store, and some really fun displays. When Evie saw the TIE Fighter hanging over the Pepsi she started to dance around. Chewbacca was pretty cool too. The movie isn't out yet, but I'm already a BB-8 fan. 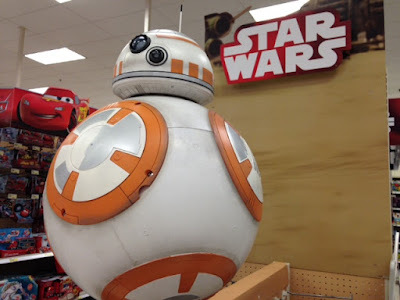 We found the cute little ball droid back with in the toy department. The displays were a little picked over, but still fun to look through. 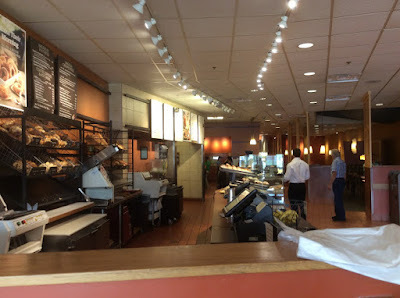 After a little window shopping (much to Evie's dismay we didn't purchase any toys), we headed next door to the North Huntingdon Panera. I guess that technically makes this a #GetOutAndGame post, since we played the game in the restaurant. A 35 point quick game to try out the new Star Wars Episode VII themed X-Wing Miniatures Starter Set. 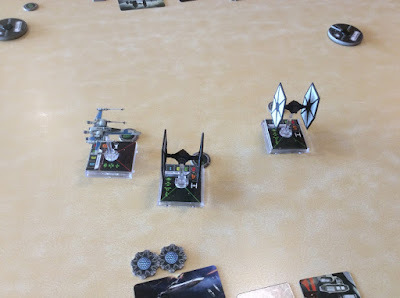 The biggest surprise I had with this setup was the TIE/fo's. Each TIE Fighter had one shield point, which may not seem like much, but during the game it definitely made a difference. I found the T-70 to be a bit confusing when I first spun the action dial. There were two kinds of turns that I had never seen before, and it was clear I'd have to fly the ship a bit differently. The T-70 is certainly more acrobatic than the last generation of X-Wings. It took us a few minutes to setup, and we agreed to keep the table free of any asteroids or stray blueberry scone crumbs. There were a few people who stopped to watch us play the game, but sadly no kids. Evie and I always on the lookout to enlist a few more young players into the ranks of tabletop gaming. Everything started off simply enough. There wasn't much room at the table, so we both realized that this could be a short, and very tight battle. We were right! In the first turn the firing began! I decided to focus on Evie's weaker fighter first. I got the drop on it during the first round of the game, and Evie tends to favor her stronger pilots so much so that she will be a bit careless with her weaker ones. I figured her second maneuver would most likely place the fighter right in front of my cannons so long as I turned left slightly. 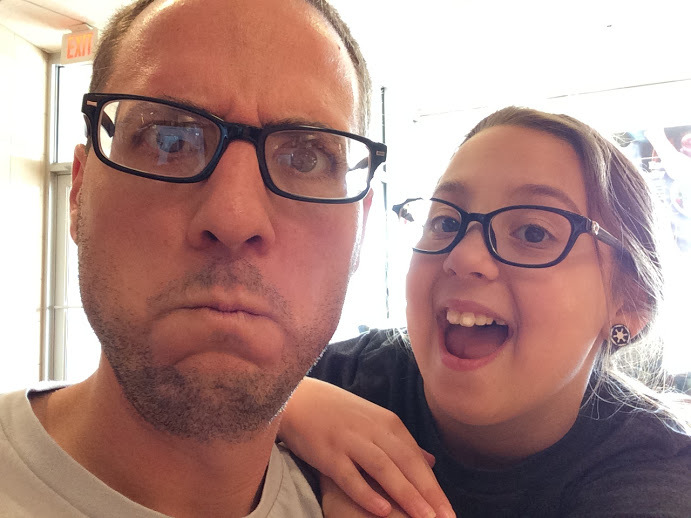 Yes, I am a terrible father exploiting my daughter's flaws. 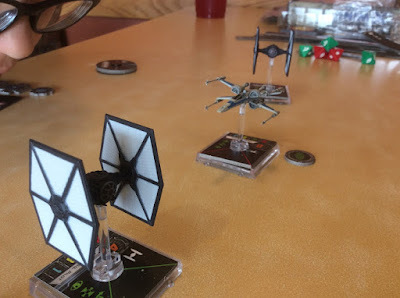 I only managed to knock out the TIE/fo's shields in this exchange. 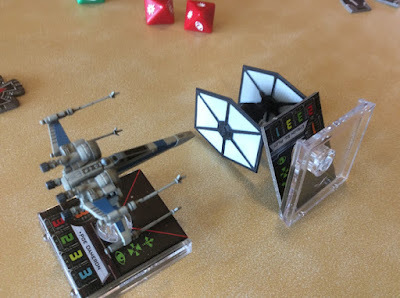 In turn, I lost a shield from the Zeta Ace's blaster cannons. I had to caution Evie to make sure she took care of both of her ships, and not just the one that had her better pilot. I think the advice worked… at least for a little while. 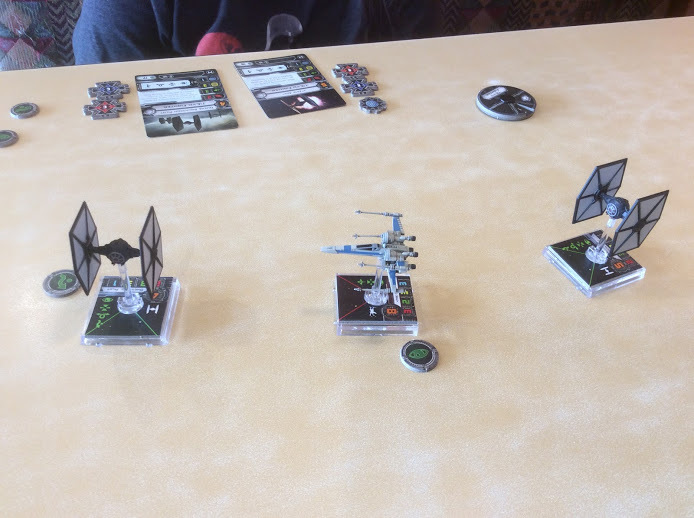 A couple turns later and I was in a great position! Poe Dameron had a great shot on the Omega Squadron Pilot! 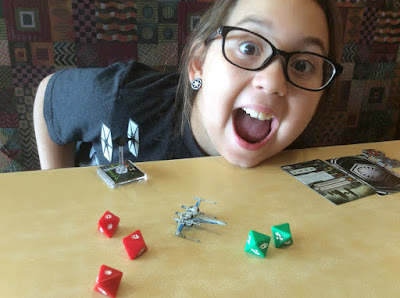 Evie couldn't watch my rolls, and for some reason thought she was loosing a fighter. But those TIE's are so nimble! Not even a scratch. She was quickly getting the hang of some of the new maneuvers though, which was bad for me. She also performed her very first lock-on! I don't think she's ever had a ship that could do this. This was a great round for me. Three hits, including a pair of criticals and since Evie performed a red maneuver she couldn't Focus. 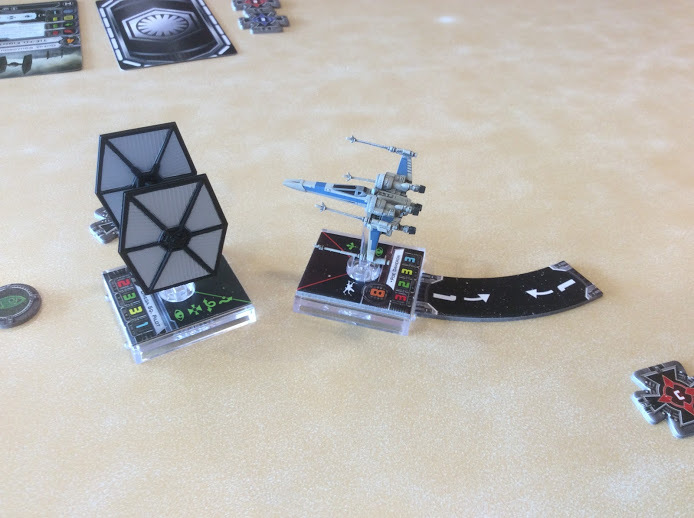 So three hits on her Zeta Ace. One more and he was a goner. 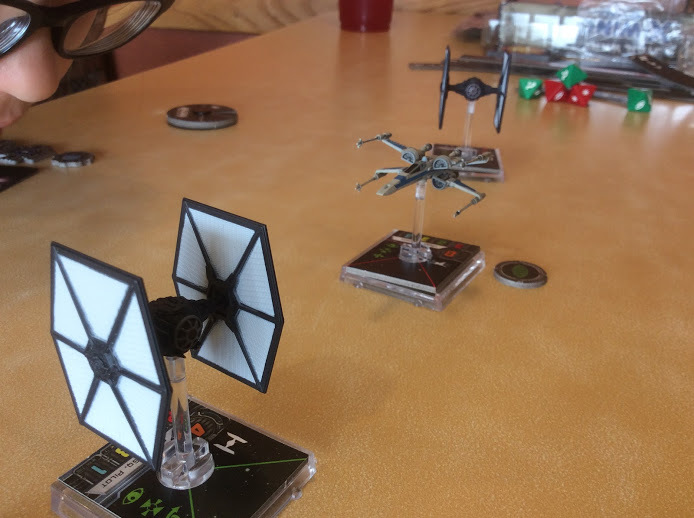 I flew off but had a pair of TIE/fo's in hot pursuit. … and then I had the Zeta Ace in Poe's sights! 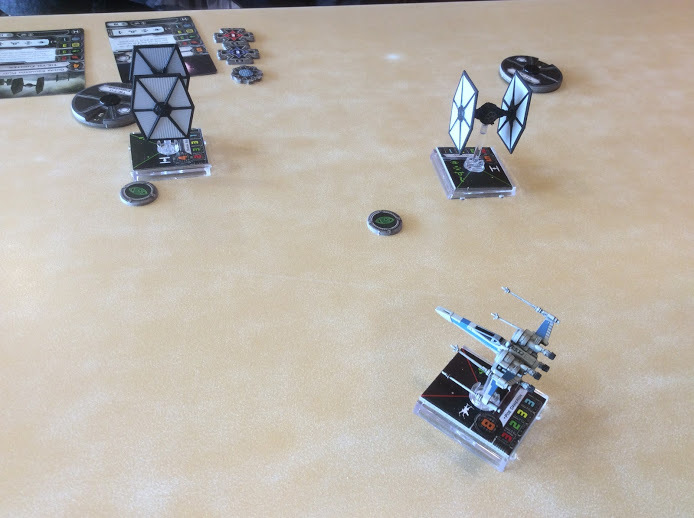 I pressed the attack on the Omega Squadron Pilot, figuring that it would only take a couple passes to knock out this weaker fighter. But Evie now had the hot hands in the dice game! Clickety, clickety, clack! 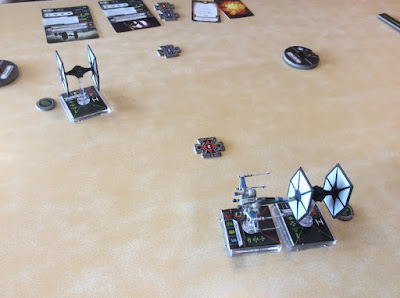 Evie was now the aggressor, and on the second to last turn we argued over whether or not she could hit me. … and then roll really, really well! Poor Poe Dameron and BB-8… I guess they won't be in Episode VIII. Of course for Evie this was a blast! 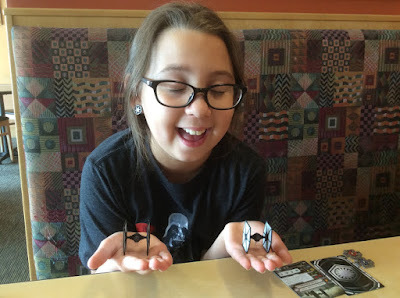 She loves her TIE-Fighters, and really enjoyed her time piloting the TIE/fo's. 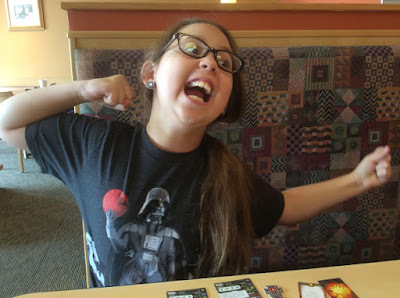 During our last battle I smacked the snot out of Evie on her birthday, so its only fitting that she turned the tide during this game. Honestly, I thought I had her but I made a pair of poor decisions in the end. Evie gloated a bit, but that is to be expected. The kid's only nine. 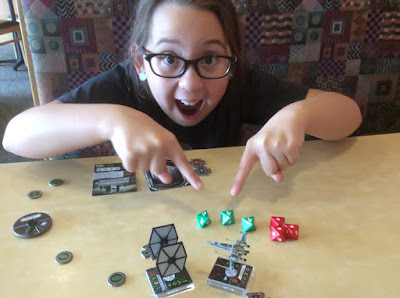 I told Evie, partway through the game, that she could have an X-Wing Lego set if she happened to beat me. She was so excited! 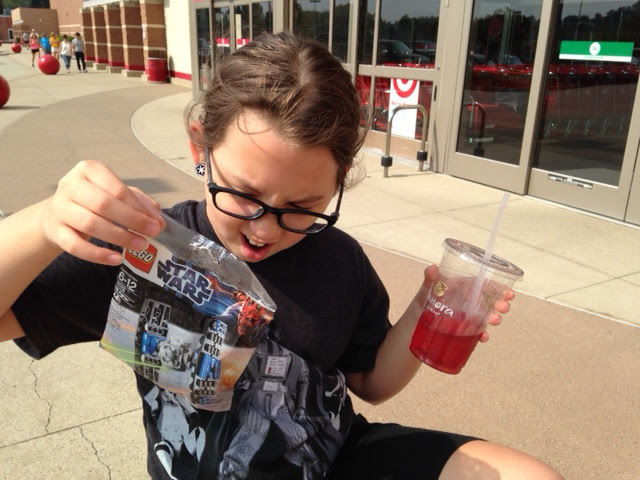 So we walked over to Target and took a look at the Legos. Look at the joy on this cute little geek girl's face! She was so excited to hold this TIE Fighter boxed set. Unfortunately, a $60+ Lego purchase wasn't what I had in mind. 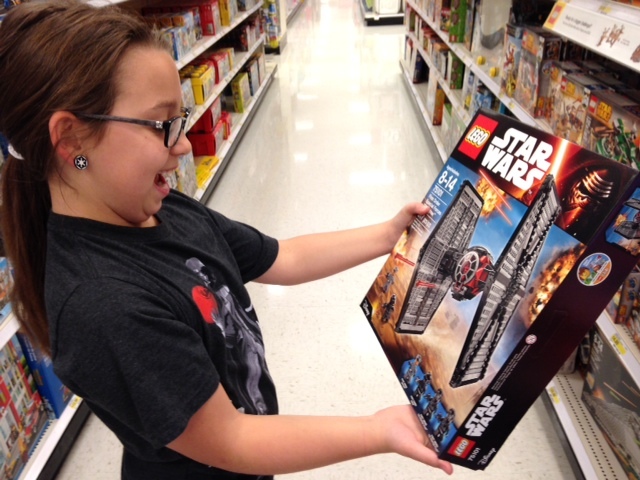 I promised Evie a Lego TIE Fighter, but I didn't say "which" Lego TIE Fighter she was going to get.